There is a hack site out there, and they have an ESP published. it might be unknown to you guys, but the hack has 1082 unique downloads, and that is the free ESP. What is the total sales, physical and digital, of BFV? Is it over 100,000? Why don't you try the free cheat software and tell us how long your account lasts. Welp I just came out of a game where a guy was botting people as they spawned. Hidden the username and the video of a snippet of the following round is currently uploading has finished uploading and has processed. Yup, prime example of snapping target. Pisses us off yet too funny to watch. Is it the same dude that was banned this week? The same dude harassing streamers? he came back with a different username that was somewhat similar. He didnt seem to care much. What worries me is on the cheat forums offering free to download ESP wallhacks, I haven't seen many cheaters complain about being banned. You'd think DICE would at least create detectable signatures for public cheats, but it doesn't appear to be happening. Watch the next update. The free ones will drop like flies. I got a hackusation the other day for going 45-6. The next person in kills had 29 kills who also was in my squad. I got hackusated for having 16 more kills than the next person. It doesn't take much to hackusate. I had an 83-7 tonight. Next person had 41 kills and no hackusations tonight. Just saw blatant cheater. He was in chat saying antihack is disabled. His name was [removed] then it changed to [removed] at end of match scorecard. I was glad he was on my team though. Yeah, we need RSP so at least we can clean them from community servers. I have seen quite a lot of cheaters in this game, more than in BF1. makes me wonder why that isn't included. 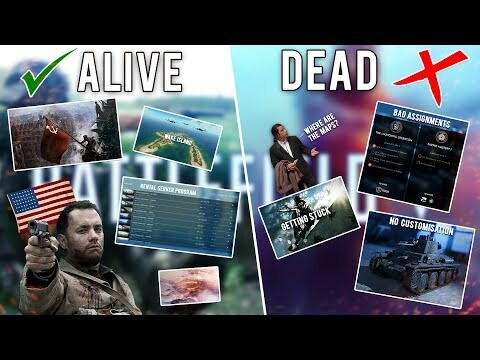 Is it because BF5 is not selling well? Something makes me thing if the game was selling hotcakes, they would have an RSP program but since it isn't, I think they elected to scrap it instead of improving it. A lot of people has better stats than JackFrags (not me), and people complaining about him cheating just shows how disillusionized a lot of these "hackusators" are. 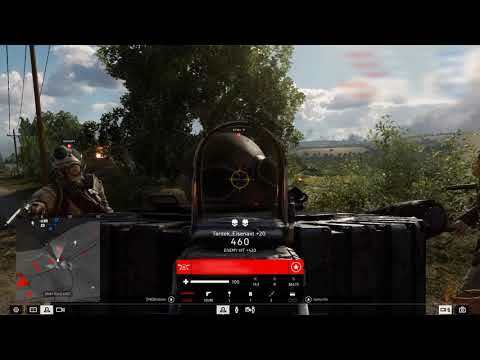 There are cheating in the game (has met 2 obvious ones myself, in 160+ hours in europe), but these threads just shows that Dice can never satisfy people no matter what. And some regions are probably worse than others, but it seems like some people looks for cheats everywhere and then finds them everywhere. We all see chat-hackusations in almost any game (I know its often people raging but anyway). EA allows this discussion to continue (they let people vent), but it will not help in any way, because most of the posts are not based on any kind of facts. And thinking that EA is not doing anything to counter cheating is naive. Its actually very complicated to do in real life, hardware-bans, ip-bans etc can give EA/Dice a lot of problems. But as long as one cheater is playing the game, they must improve their anti-cheat. I think they know that already. @absoluteone87 - I was there as well when the guy was cheating. I just spectated him for about 10 minutes and relaxed. I just thought to myself, "Whelp! I'll let him entertain me. I have nothing else to do..." So I grabbed a cup of coffee and some cheese cake while I watched. Get banned on PC... there's a lot of folks that are going to be laughing at that statement. A mate of mine has already reported someone for hacking on Origin as he went 106 - 5 and they no longer to be seen on his servers. That's pc. (My point is valid and stands, as ps4 Console is impossible to report cheats to SONY.) however, When checking the cheaters stats, then he was last seen playing 3 days prior to being reported. So you might be the clown with the jokes. But that makes you funny, not effective. Your trolling is really lame. I suggest doing it on another forum. Without considering whether the account in question was hacked or not, it seems to have taken three days to issue the ban, based on games in a single day worth less than a thousand kills. The cheater was using a cheat that resulted in over hundred percent accuracy figures for bolt actions, so perhaps there is hope for this flavor to be detected eventually. Though the guy was clearly raging, so it could have been any number of signals that were picked up. In all do respects, please view brokenmachines gameplay and watch him use smg's with anti-recoil obviously taking place in situations where you and I would have to tap fire.